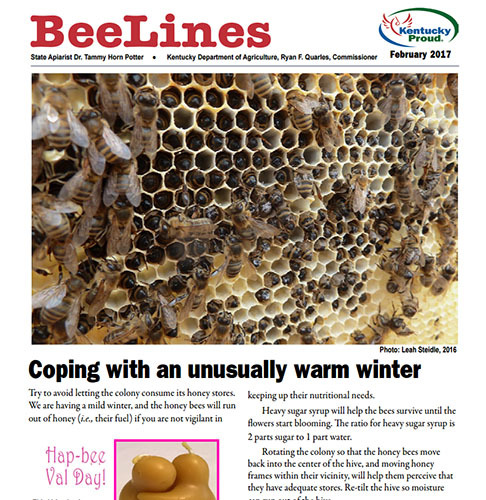 The February edition of the BeeLines newsletter is available online. It includes information about coping with the warm winter, the State Apiarist’s report, and a list of upcoming bee schools. Past BeeLine newsletters can be downloaded from the Kentucky Department of Agriculture’s website or from the KSBA Educational Resources for Beekeepers webpage.